This is an addition for the south side of Sweet Spot . It adds two extra bedrooms and more living space. 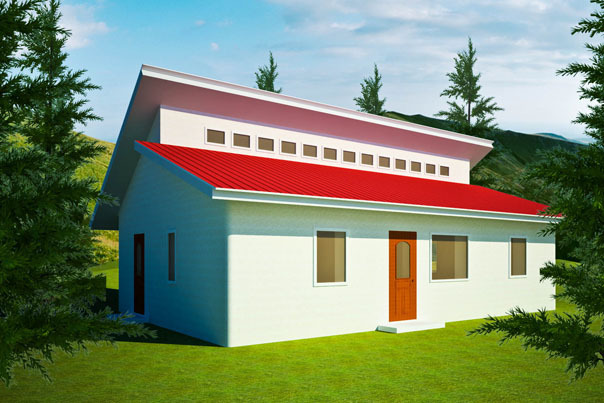 The gable roof will merge perfectly with the basic floor plan if it is built first and the addition is added later. 396 sq. ft. interior north half, 396 sq. ft. interior south half, total 792 sq. 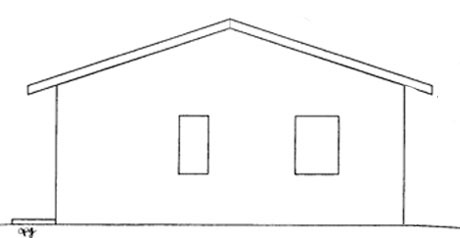 ft. interior; footprint: 25' x 39. 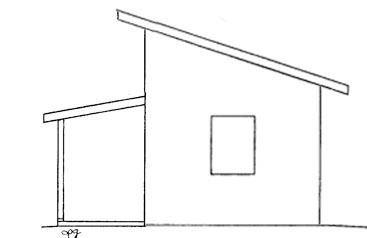 Another option is this roof design with clerestory windows.